Just the perfect touch to enhance your everydays look. 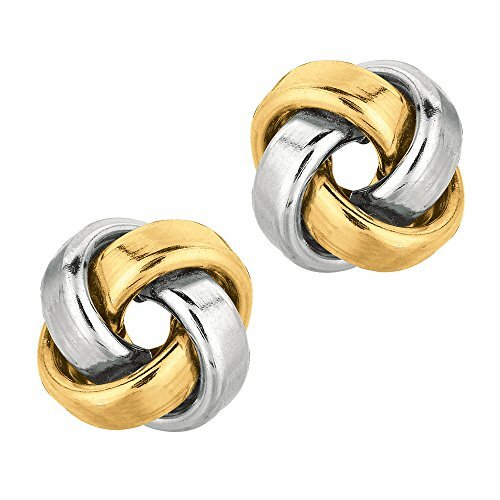 These Italian made 14k gold square tube love knot stud earrings are crafted in a beautiful design to enhance any ensemble. A combination of high polish finish and butterfly clasps complete the look of this lovely set.